The Boxxer has been a staple in downhill mountain biking for decades. Back in 2008, I had the opportunity to put down laps on the then all-new and completely redesigned RockShox Boxxer during the product launch at La Fenasosa Bike Park in Alicante, Spain. Alongside the damper, lower casting, and spring revisions of that 2010 model year overhaul, most visually noticeable was be the growth of the Boxxer's stanchions from 32 millimeters in diameter to the more robust 35-mil versions it still utilizes today. Today's Boxxers share a nearly identical silhouette to that 2010 generation, but in recent years they've been incrementally refined. Veteran Boxxer riders will notice this latest generation no longer features externally adjustable high-speed compression (HSC) or ending-stroke rebound tuning. RockShox says they gathered data and setting preferences from their racers and R&D testers to determine an ideal base tune for the Boxxer's Charger cartridge damper. Don't fret grease monkeys, you're still able to internally reconfigure the damper's high-speed compression shims to achieve a desired feel. You probably won’t need to, though: RockShox says almost all of its elite riders are running the preset HSC setting. The 200-mil-travel Boxxer is currently available in both 26-inch and 650b wheel sizes, and in three models: the air-sprung and Charger damper-equipped World Cup ($1700), coil-sprung and Charger-damped Team ($1275), plus the more-affordable coil-sprung Boxxer RC ($865) featuring RockShox's Motion Control damper. 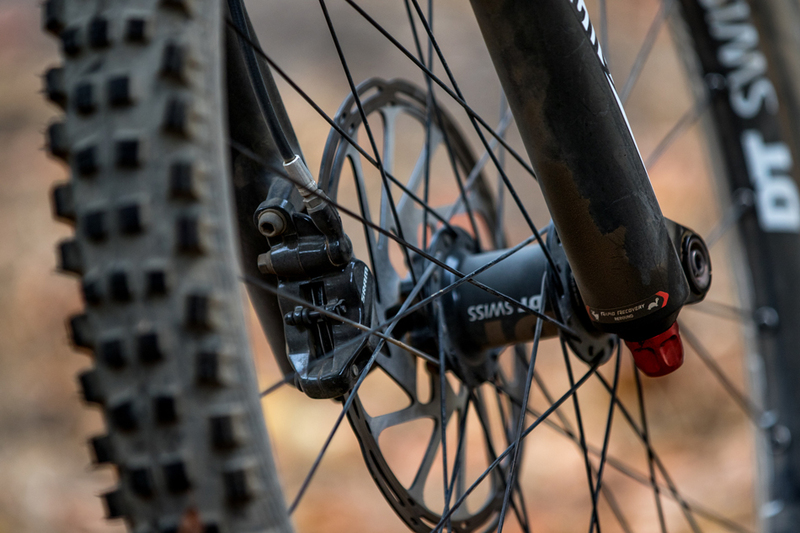 The Boxxer stanchion features an integrated sag indicator, while the fork's wheel size and spring rate are indicated on decals beneath the non-drive side dust seal. The air-sprung Boxxer World Cup grabs a lot of attention underneath some of the sport's biggest names, but the Boxxer Team shares basically the same features and tuning capabilities (aside from an air spring and its volume reducers), such as external beginning-stroke rebound and low-speed compression adjustments, black stanchions, and a tooled 20×110-mil thru-axle. At 6.5 pounds, the 27.5 Team version is heftier than the air-sprung World Cup's claimed weight of 5.8 pounds, but it is by no means portly for a coil-sprung downhill fork. 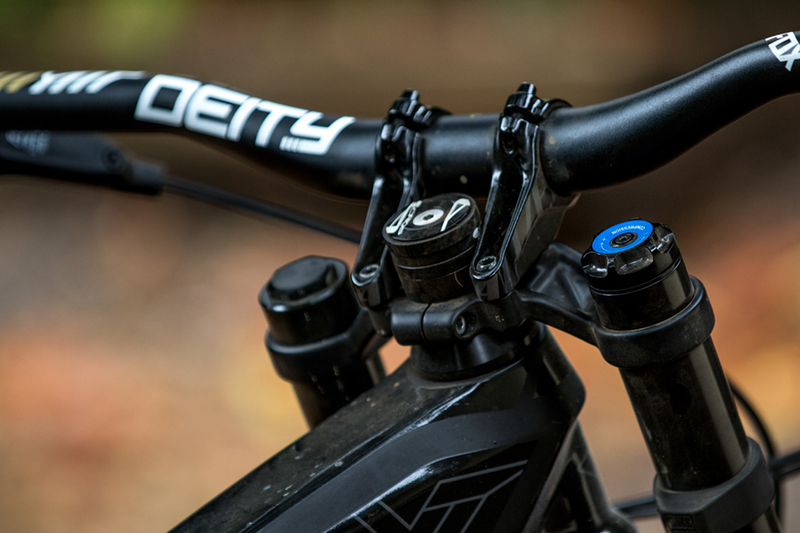 Riders familiar with the Pike will recognize the Boxxer's Charger damper rebound adjuster. Having ridden a Boxxer through nearly all of its chassis and damper generations, I was curious to feel how the newest iteration and tuning would compare. Additionally, having been a fan of the now-eliminated external high-speed compression adjustment, how would RockShox's internal base settings mesh with the suspension characteristics I've grown to prefer? 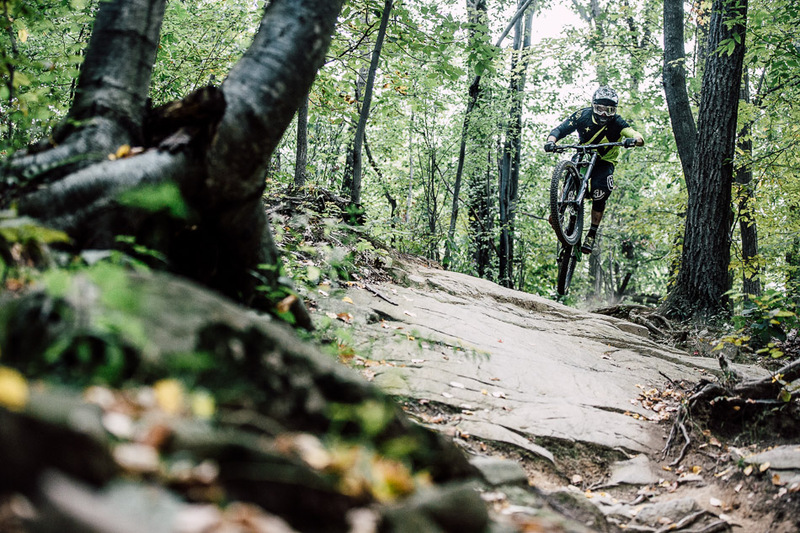 From the high-speed and boulder-filled trails of New Jersey's Mountain Creek Resort to the dusty and jagged terrain of Northstar on Lake Tahoe, I was able to give the Boxxer Team a proper bikepark beat down. The fork's compression tune and spring rate felt mostly spot-on for someone who rides a medium-size bike. Occasionally, on extremely long, steep, and rough descents I would've preferred the next firmer spring rate to help control the front-end ride height. However, for the vast majority of the terrain I rode, the fork maintained excellent suppleness in the beginning part of the stroke, felt controlled and didn't wallow in the middle of the travel, and ramped up predictably on high-speed, full-travel-worthy impacts. So much for missing that HSC dial. The low-speed compression adjustment helps reduce unwanted fork dive during lower shaft speeds. Adding a few clicks stabilized the very supple front end on smoother terrain, and kept it from diving in the berms and on the face of jumps. The low-speed compression adjuster atop the right fork leg helps fine tune ride height and suspension balance on smoother terrain. Part of the beauty of the Boxxer is how easy it is to service. After dozens of dusty laps, the Boxxer's suppleness began to fade, indicating that some basic fork servicing was in order. Simply cleaning out the lowers and refreshing the lower-leg lubrication had the fork once again slipping and sliding as if it were its first day on the hill.